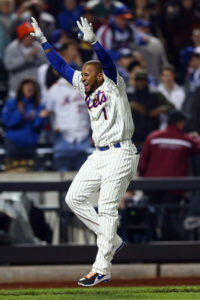 Jordany Valdespin has been named the Independent League Player of the Year by Baseball America. If you’ve been following his season, this shouldn’t be much of a surprise. He was named The Long Island Ducks MVP after a career year. The former New York Met and Florida Marlin posted career bests in nearly every offensive category and his 2018 stats were top five in on-base percentage (.399) and total bases (222), third in stolen base percentage (.857) and fifth in slugging percentage (.487). He’s been praised by his superiors and loved by his teammates during his revolutionary time in the Indy Leagues and performed as well as anyone could imagine. At 31 years old, and a lifetime of experience under his belt, it’s only a matter of time before we see him signed by a big league club. You can’t deny the his talent and what he did this year is undeniable. Congrats Jordany. This is the what the game is all about.